The barn owl tracks its prey acoustically and can hunt in total darkness. It’s one of those facts to which we ascribe poetic as well as mythic permanence: not only Lilith and Athena but Elizabeth Barrett Browning’s ‘large white owl that with eye is blind’. Yet, we arrived at this knowledge – by which I mean this scientific knowledge – only recently. In the 1970s, infrared photographs captured a barn owl ﬂying through the pitch of a lightless research room and at the threshold of contact with a mouse. The resulting multiple exposures were revealing; the owl spreads its talons, lowers its heart-shaped head and closes its eyes, its body eerily imbricated with past and future selves like a host of white angels descending. The pictures are the work of neuroscientist Masakazu Konishi, whose experiments in darkened anechoic chambers established our knowledge of a fact long assumed: the owl does not need to see the mouse it hunts. ‘The rustling noises of the prey contain all the information needed for the owl to locate it in space,’1 he wrote. Konishi also tested the barn owl’s hearing against that of his undergraduate students, finding that, above 12 kilohertz, the human ear is more sensitive than the most sensitive bird’s. Yet, no pair of ears can define a point in three dimensions. In this and many other respects, noise is demandingly vague. The owl makes its educated guess. we do the same, locating the origins of sounds by attending to the inequality between the sound waves each ear perceives. But there is guesswork. Any given inequality corresponds to not one but a family of points in space. We rely on an array of fallible assumptions, beliefs and prejudices – a kind of acoustic shorthand – to resolve this constellation of possible objects or speakers into a single, well-ordered reality. Lawrence Abu Hamdan is an artist-investigator of our acoustic shorthand. His video and audio installations trace a path from hearing’s biological origins to the legal and technological appendages it has lately acquired: a century of aural mutations of which the owl dares not to dream. As a forensic audio analyst, who sometimes collaborates with the human-rights research agency Forensic Architecture, Abu Hamdan has become a Konishi for the nation-state, a soothsayer whose work augurs the evolution of a new kind of hearing. He calls it ‘forensic listening’ and its subjects are manifold. A Palestinian in the UK pronounces the arabic word for ‘tomato’ as benadoora instead of bendoora; as a result, his application for asylum is rejected. A sheikh in Cairo risks official censure broadcasting a sermon on noise pollution from his mosque’s loudspeaker. A political detainee maps the prison beyond his cell by the muffled sounds of interrogators beating unseen compatriots with a length of pipe. If we have learned anything from the age of for-profit surveillance and deep-state data, it is that, no matter who we are, someone out there is listening. But who exactly is listening and what is being listened for depends on our political selves. Abu Hamdan tunes his work to undocumented persons, surveilled citizens, immigrants and prisoners – to those scrambling beneath the talons of the state. Two early projects, The Freedom of Speech Itself and Conflicted Phonemes(both 2012), used documentary video, infographics and sculpture to interrogate the accent-analysis techniques employed by private government contractors to vet the authenticity of asylum seekers’ origin stories. These ‘refugee detectives’ began to appear in northern Europe in the early 2000s, ordering asylum seekers to speak into their recording machine, then hiring other immigrants to detect falsehoods inside their phonemes. The system is purest folly. as any linguist will tell you, accents are not stable markers of origin or identity. nor are consultants always familiar with the accents they have been hired to interpret. Conflicted Phonemes consists of a series of colourful infographics describing this capricious legal reckoning, using the cases of 12 Somali asylum seekers whose applications in the Netherlands were rejected because they failed to utter certain shibboleths. 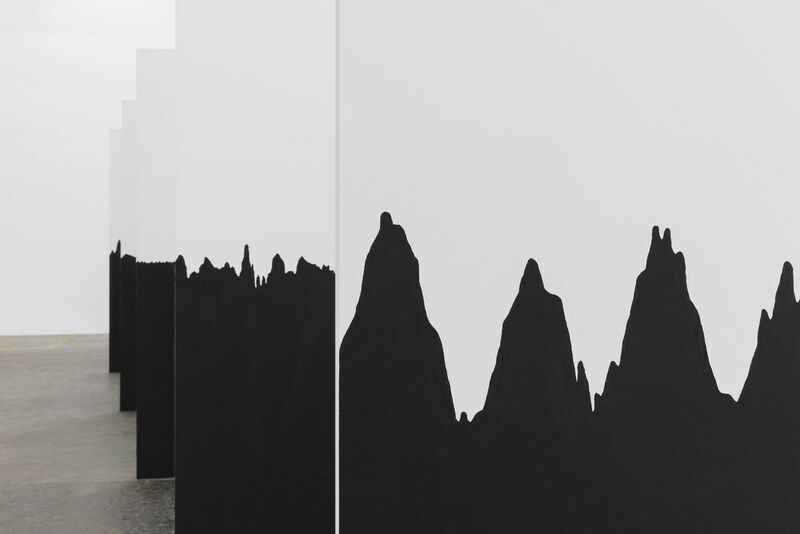 For the sound installation iteration of The Freedom of Speech Itself – shown at Kunsthal Extra City, Antwerp, in 2012 and HKW, Berlin, in 2014 – the artist used topographical foam sculptures: sound-absorbing mufflers that shaped the sonic atmosphere of the gallery. They are voices riven from language, the purest expression of the new politics of listening. Elsewhere, Abu Hamdan homes in on ambient rustlings we are not meant to hear. The Hummingbird Clock (2016), a work combining sculpture and a website, takes as its medium the background hum of the UK’s electrical grid, which is omnipresent and imperceptible. For more than a decade, London’s Metropolitan Police has relied on the micro-variations in this hum to verify whether recorded conversations submitted as evidence in criminal investigations have been edited and to pinpoint the exact time of their occurence, since every ten-second section of any recording made in the UK contains a buzzing fingerprint. Abu Hamdan democratizes this little-known method of surveillance by making it publicly available online, inviting anyone to submit videos for time-stamping. The website augments the sculptural component of the piece, which was commissioned for the 2016 Liverpool Biennial: a cluster of outdoor binoculars pointed at the clock on the Town Hall, across from the Queen Elizabeth II law courts. Projects like The Hummingbird Clock and Saydnaya (The Missing 19dB), which was first shown at the Sharjah Biennial in 2017, suggest that hearing is both less and more than knowing. The ear’s limitations create opportunities for dissimulation and control among those who regulate borders or mete out punishments. at the same time, the ear is often permitted to witness what the eye, whose power is recognized, cannot. Sounds are surplus. And in surplus there is ambiguity, the prerequisite of art. In English, our language of comprehension suggests it may be easier to fool the uncritical eye than the ambiguous ear. Consider ‘seeing things’, a phrase that means its opposite: seeing what isn’t there. But ‘hearing things’ suggests an acute and clandestine awareness, shared by spies, slaves and prisoners, who often hear things that contradict the reality in view. It is a subcurrent of knowledge, like the real – not rubber, as the Israeli army claimed – bullets that killed two unarmed Palestinian teenagers in 2014 during protests in the west bank: a fact first identified by Abu Hamdan using forensic audio analysis in a report for Defence for Children International. He has imagined this report as a fictional courtroom testimony in the film Rubber Coated Steel (2016), which takes place inside a shooting gallery where no shots are fired and no voices heard. 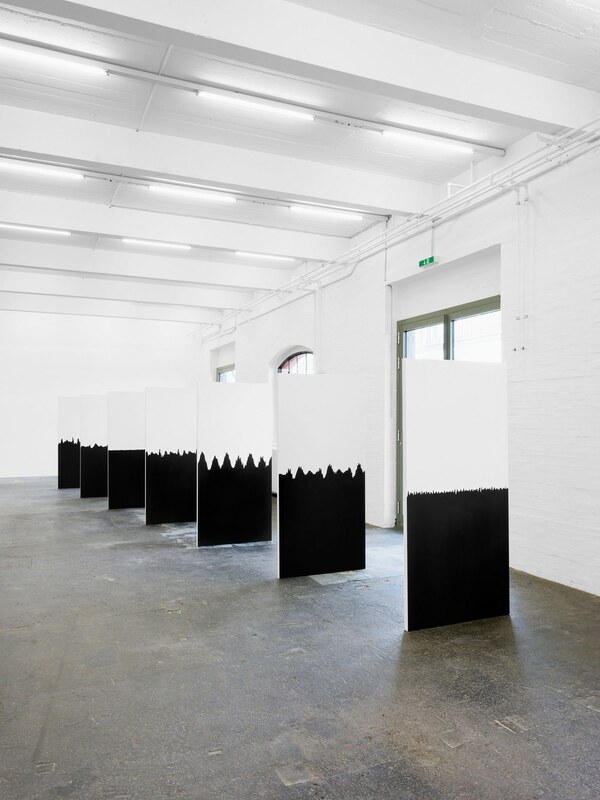 In his 2016 exhibition ‘Earshot’ at Portikus, Frankfurt am Main, the film played alongside hanging photographic prints depicting the spectographs of gunshots: silent testimonies to violence that visitors were made to navigate. Abu Hamdan’s latest project is Walled Unwalled (2018), a film installation that will be on view at the Tanks, Tate Modern, London, this October. Presented as a projection onto (and through) a glass wall, the film shows Abu Hamdan behind the windows of an infamous cold war-era recording studio in former East berlin. He speaks to the viewer about the permeability of walls, citing in the process the US Supreme court thermal imaging case Kyllo v. United States(2001), the murder trial of Oscar Pistorius and the survivors of Saydnaya prison. Although Abu Hamdan can seem most confident when working in an essayistic mode, recent film installations like Rubber-Coated Steel and Walled Unwalled show his growing mastery at synthesizing research and creation. The accumulation of walls, holes and speech in Walled Unwalled is polyphonic, even if Abu Hamdan’s voice, set to increasingly ominous percussion, is the main one we hear. There is a village of lost voices an hour south of Berlin, where Abu Hamdan lived recently as a guest of the German Academic Exchange Service (DAAD). Wünsdorf was once home to the first mosque ever erected in Germany, part of a World War I prison complex known as the Half-Moon Camp that housed thousands of colonial prisoners from Comoros, India, Madagascar, Martinique, Morocco, Pakistan, Tunisia and a dozen other lands. The goal of the camp was part strategic, part scientific. military commanders hoped to convince prisoners to foment revolution at home. Academics planned to use the prison’s unprecedentedly diverse population to map the speech, songs and physiognomies of every living culture. Wilhelm Doegen – an ethnologist born in the same year that Thomas Edison invented the phonograph – made recordings at Half-Moon Camp. He may have been the world’s first visionary in the use of state power to extract information from the recorded human voice. With the Kaiser’s approval, he founded the Royal Prussian Phonographic Commission and spent the duration of the war instructing prisoners to speak at length into his machine, an Odeon gramophone – in whose dark ingress I would locate the origin of all of Abu Hamdan’s work. He recorded over 1,000 wax cylinders and 1,600 shellac discs of wartime biography, lament and song. After the Half-Moon Camp closed, the Nazis took its various ethnographic projects and applied them to their own ideological ends. Today, Wünsdorf is an oddly shaped town surrounded by military relics from the last century: former barracks, bomb shelters and conspicuously empty fields of gravel and young weeds. During World War II, it was home to the command centres for two competing military intelligence organizations whose complexes were disguised as rural wattle-and-daub townships. Then it was a Soviet military base. Nothing at all remains of the Half-Moon Camp, not even the mosque, and the century-old recordings are sitting in the heavy metal cabinets of various German research institutions. I have heard some of them. Who owns those voices now? They are scattered and out of sight, like the magpies and house sparrows living in the woods nearby. Like the starling and the hooded crow. Like the owl, which, like Minerva’s, flies at dusk. Vision takes you by the nose and drags you after it. We access the past with hindsight. We even see what one another mean. Our sight is infinitely versatile – we can watch, look, peek, glance, gaze, ogle, glimpse, peer and stare. Compare the paucity of our ears, with which we can merely listen or hear. Abu Hamdan, in league with Amnesty International, has extended the modal dominion of the ears by reclaiming their right to witness. Every crime leaves something behind, but visual traces are apt to be lost as the hegemony clenches its twin pincers of erasure and saturation. In defiance, Abu Hamdan hands the mantle of truth over to sound, where mottled noise becomes an audio blueprint, and the ring of a gunshot testifies to the shape of its bullet. In the West Bank, Israeli soldiers killed two unarmed teens with supposedly ‘non-lethal’ rubber bullets, but recordings of the weapons going off tell another story. In Syria’s Saydnaya prison, inmates have their sight stolen from them, and human-rights groups have no way of monitoring internal conditions, but here again sound may provide a lever to wedge against the deadbolts of darkness. Sound can, however, be an equally powerful tool for incumbent power. Abu Hamdan reveals how the UK government uses the high-pitched frequencies of the street electricity boxes to geotag footage taken by the public, and thereby secretly surveil the citizenry. He shares technology being developed in the USA to listen in on private conversations by mapping molecular movements caused by sound waves on the surfaces of everyday objects. Despite the volley of facts, Abu Hamdan cannot be accused of subjugating art to science – all of this comes out in artworks that range from humorous to macabre, finding form in striking sculpture, video, and artistic interactions. In Birdwatching, he brings the audience through a fascinating dossier of sonic sleuthing, as well as strumming a complex tablature of politics and art praxis. As the line between aesthetics and anaesthetics becomes increasingly blurred, Abu Hamdan’s troubling subject matter brings with it the right kind of ache. As contemporary art resists the encore of history which calls it raucously back to the lap of the global super-rich, as it sinks ever deeper into the stymying quicksand of hyper-capitalism, Birdwatching is a vine thrown out. "Inmates were constantly blindfolded or forced to kneel and cover their eyes when guards entered their cells, so sound became the key sense by which they navigated and measured their environment – and therefore one of the chief tools with which the Forensic team could reconstruct the prison layout. Using a technique of “echo profiling”, sound artist Lawrence Abu Hamdan was able to determine the size of cells, stairwells and corridors by playing different reverberations and asking witnesses to match them with sounds they remembered hearing in the prison. Deprived of their visual sense for months and years on end, the Saydnaya detainees developed an acute aural sensitivity, able to identify the different sounds of belts, electrical cables or broomsticks on flesh, and the difference between bodies being punched, kicked or beaten against the wall. 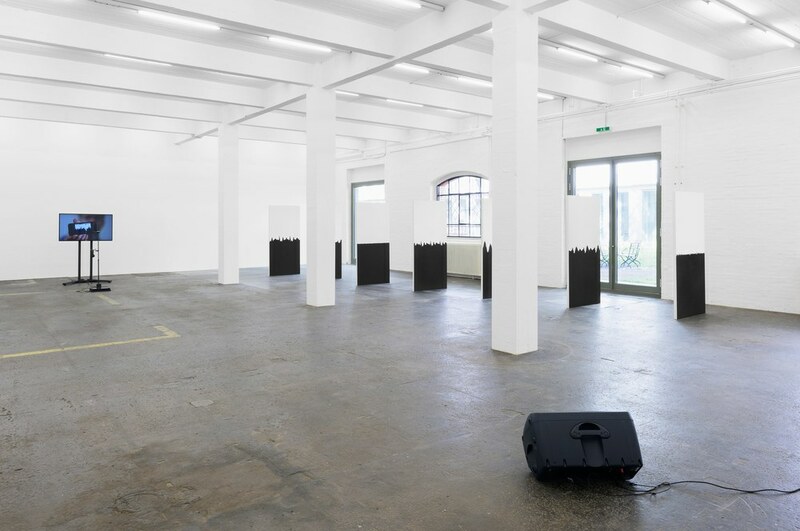 In his largest solo exhibition so far «تقيه (Taqiyya) –The Right to Duplicity»at Kunst Halle Sankt Gallen, Lawrence Abu Hamdan examines the voice as a fundamental political instrument, the ways in whichit constitutestruth and the place of lying in todays all hearing all speaking world. A new two channel video installation Contra Diction (Speech Against Itself) becomes the centre piece of this show and uses the theological, legal, linguistic and philosophical concept of Taqiyya as the thread that ties together the diverse range of works presented here. Taqiyyais an obscure component of Islamic jurisprudence practised by esoteric Islamic minorities and particularly by the religious community of the Druze in Palestine, Syria and Israel. The principle of Taqiyya, which is approximately comparable to the western concept of diplomatic immunity, allows members of a community to deny their faith or even to commit other illegal acts while subject to persecution or statelessness. Statements made under Taqiyya find themselves within and outside the law at the same time. Between truth and falsehood Taqiyya thus installs itself as the legal principle that allows to inhabit those spaces inbetween. 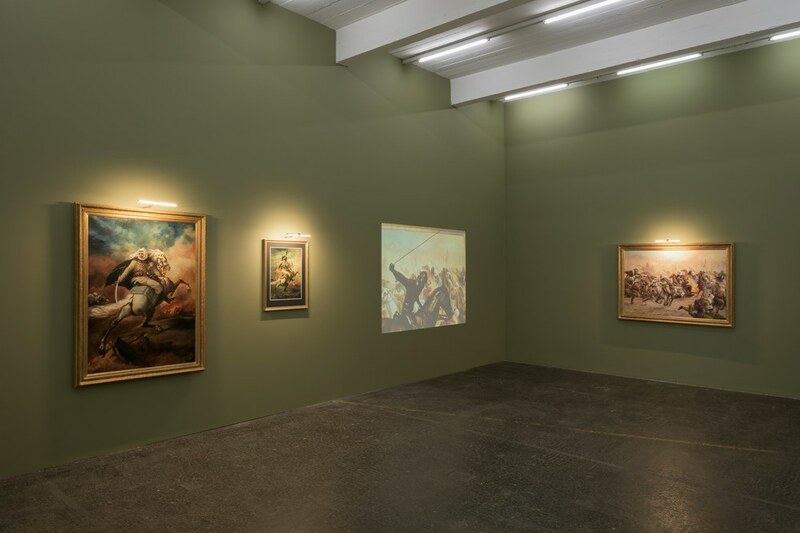 Abu Hamdan's work shown in his St. Gallen exhibition incorporates a wider range of strategies to lay bare the fact, that although freedom of speech may persist, the conventions of listening have certainly shifted. The all-hearing state apparatus, which forms the basis of Abu Hamdan’s deliberations, promotes a policy of total transparency which perceives secrecy as the greatest threat to democracy. While radical freedom of speech has come to be a guarantee of a just society, individuals seem to be permanently urged to confess themselves and to bear witness. Between the right to speak and claim for silence Abu Hamdan examines a policy of audibility which increasingly demands new concepts of speech. Lawrence Abu Hamdan unfolds the underlying concept of Taqiyya in a variety of contexts and aesthetic practises whether through the work Conflicted Phonemes (2012) – a cartography of accents that exposes the practices of asylum policies, that rely on the enunciation of a single syllable as proof of origin and citizenship – or by exhibiting a private collection of dissimulating colonial paintings in his installation Double-Take: Officer Leader of the Chasseurs Syrian Revolution Commanding a Charge (2014). Abu Hamdan seeks to disclose the inherently unfaithful nature of testimony and the impossibility of Western truth production. Duplicity is the motif Lawrence Abu Hamdan brings us to see and hear in multifaceted ways between documentary and staging, between traditional speech acts and the most recent voice analysis technologies. In terms of Taqiyya he opens up a new understanding of speech, of the unfaithful nature of the voice and its relationship to truth–and in the process questions the fundamental conditions under which we speak, lie or remain silent. Talking about my new show at Kunst Halle St Gallen and attempting to define a politics of listening with William Kherbek for Rhizome. You may or may not know that I DJ under the name Dj Business Class - here is my first online mix made for Dis magazine- I hope you enjoy! - organized by Art in General at the New School. Lawrence Abu Hamdan’s commissioned project, A Convention of Tiny Movements (2015). Part of it (there’s also an audio essay) is 5000 bags of potato chips distributed through the fair. The back is printed with a text about computer scientists at MIT who developed a system that can, by reading the small vibrations in any given object, recover the sounds that produced them. It means that any object can become a listening device, including any of the bags of chips produced for the fair. As I write this, the (ahem, empty) bag of chips beside me on my desk, I’m reminded—in case I forgot amidst all those paintings—that a small intervention in the tried-and-tested structure of the art fair can once again turn everything political. Of course it’s possible to see art at a fair and think through surveillance, larger political structures, and economics beyond just those of the art world. rest of the great article by Orit Gat here..
" it’s easy to overlook some of the better works because there are so many vying for your consideration. Monumental interactive bunkers by the artist Nadim Abbas or a bright, looming installation by the artist Guan Xiao might grab your attention, but smaller works are the stars of the show. I’m thinking of a sound installation by Lawrence Abu Hamdan"
Although Israeli authorities initially asserted that no live fire was used by soldiers during the May 15, 2014 protests, one border policeman, whose name has not been released, has since been arrested by Israeli police and faces manslaughter charges. This arrest follows Defense for Children International-Palestine’s release of video footage from security cameras which captured the fatal shootings of Nawara and 16-year-old Mohammad Abu Daher, as well as an autopsy’s ruling that a live bullet was the cause of Nawara’s death. Despite the Israeli military’s own regulations that live ammunition may only be used “under circumstances of real mortal danger,” DCI-Palestine has documented 10 child fatalities in the West Bank caused by live ammunition since the beginning of 2014. An Amnesty International report found that 41 Palestinians had been killed by live ammunition in the West Bank between 2011 and 2013 alone. The same report cited findings that between September 2000 and June 2013, only 16 investigations ended in indictment of Israeli soldiers. "While we welcome the arrest of an unnamed Israeli border policeman alleged to have fatally shot Nadeem Nawara, tragically this killing is not exceptional,” said Brad Parker, international advocacy officer at DCI-Palestine. “Past Israeli investigations into similar incidents consistently fail to be serious, impartial or result in indictments. In this case, though there is CCTV footage and news coverage of the shooting, systemic impunity is likely to be an obstacle to justice and accountability." Forensic Architecture is funded by the European Research Council and hosted by the Center for Research Architecture at Goldsmiths, University of London. The project consists of multidisciplinary spatial practitioners – architects, artists, and filmmakers – who undertake architectural research within the framework of international humanitarian law and human rights. Their investigations have provided evidence for international prosecution teams, political organizations, NGOs, and the United Nations. It's official MoMA NYC are the new owners of my works The Whole Truth, Conflicted Phonemes and The Aural Contract Audio Archive. There are so many art fairs these days that organizers have to keep reinvigorating them to attract an audience and stand out from the pack. The Armory Show next spring, from March 5 through 8 on Piers 92 and 94 by the Hudson River, will feature a section devoted to art from the Middle East, North Africa and the Mediterranean. Lawrence Abu Hamdan, based in Beirut and London, has been named its commissioning artist, creating a work that will be on view there, as well as a limited-edition print that will be sold to benefit the Museum of Modern Art. This is the sixth year that the fair has homed in on art from a specific geographic region, commissioning an artist to represent it and appointing a special curator to organize the section, which it calls Armory Focus. Last year it chose China and tapped Philip Tinari, director of the Ullens Center for Contemporary Art in Beijing, as organizer. The commissioning artist was Xu Zhen. This year Omar Kholeif, curator at the Whitechapel Gallery in London, has agreed to be the curator. He will illustrate the region’s growth as an artistic center and plans to include galleries and artists from the region, as well as showcasing site-specific projects. “It’s about journeys and migrations and the disparate cultures dictated by the context of the city,” Mr. Kholeif said, adding that he aims to shine a light on a broader notion of art history, one that goes beyond the conventions of the Western canon. So pervasive to daily Cairo life is the a loudspeaker libertarianism, that the issue of hearing damage and noise pollution was immediately accepted as a topic for a Friday sermon when I suggested the idea to two Cairene Sheikhs. Despite new laws that the military government established that seek to monotonize the delivery of sermons by enforcing Sheikhs to only give speeches according to the weekly government sanctioned topic, our Sheikhs remained even more determined to have the issue of noise heard. And heard not only to their congregation inside the mosque but to all those passers by who were barraged by the mosques loudspeakers broadcasting into the streets outside. The military crackdown on the amplified voices of the city is done in the name of policing noise and the lawless terrain of the loudspeaker yet it is in fact simply a means to direct the flow of voices away from espousing anything against the government. Anything that they do not want heard. Hence on the day the Sheikhs delivered their sermons on noise pollution as far as the ear could hear all the mosques in the surrounding area were explaining the Prophets’s Ascension to Heaven, the government dictated topic of that week. BEIRUT: Lawrence Abu Hamdan’s “Language Gulf in the Shouting Valley” (2013) is rooted on what may be the Golan Heights’ best-known cultural activity. Abu Hamdan’s 15-minute “audio essay” is installed within a gray-painted alcove distinguished by sound-baffling foam strips on the left and right walls and atop the viewing bench (so it’s more comfortable than the others in this exhibition). Intermittently a generous screen flashes to life with the video component of this sound work – shaky hand-held camera shots from the Shouting Valley – but the main body of the work issues from two small wall-mounted speakers. The soundtrack has two components – the shouts and screams of residents from either side of the valley and Abu Hamdan’s interview with scholar Lisa Hajjar. An authority on the incarceration and torture protocols of the U.S. and client regimes like Israel, Hajjar discusses the liminal position of Israel’s Druze. As they are heterodox Muslims, the Israeli regime has “Orientalized” the Druze as “non-Arab” collaborators. The only Palestinians eligible for Israel’s military draft, while still subject to its arbitrary land confiscation, young uneducated Druze men are employed in intermediary roles – translators in the occupation’s military courts, for example – that Israel’s Arab-Jewish citizens are discouraged from playing. Druze conscripts face unusual pressure to demonstrate their loyalty to the occupation regime. In performance, the Druze translators are so aggressive and uncooperative during land-confiscation hearings that Palestinian plaintiffs are reduced to mere objects. In Hajjar’s words, the Druze mouthpieces of the occupation are the grease that allows it to operate. Abu Hamdan proposes that, like the Shouting Valley, the Druze role as mouthpiece reflects the community’s liminal status as translator, transgressor, traitor and collaborator. “Language Gulf” is one of 24 works now on show in “Ten Thousand Wiles and a Hundred Thousand Tricks,” the exhibition component of Meeting Points 7, the transnational contemporary art road show, up at the Beirut Art Center. 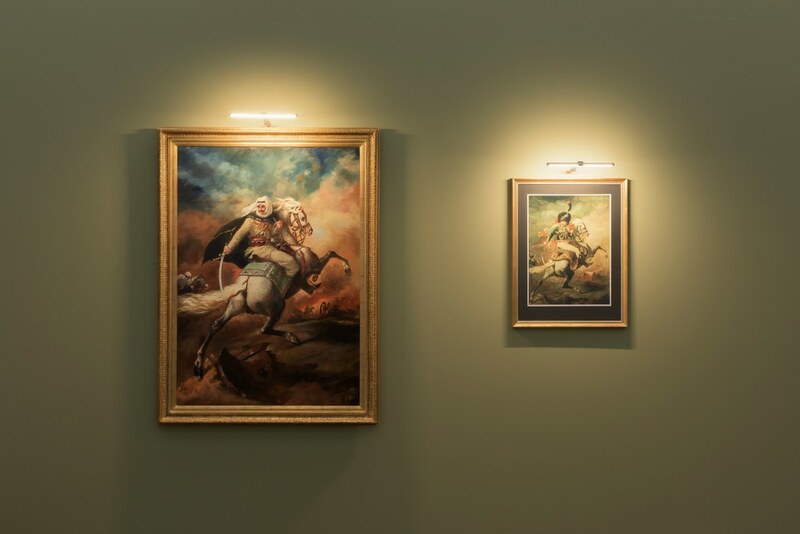 Abu Hamdan’s politically grounded installation art is more sophisticated than it appears. This is less a matter of artistic modesty than the BAC’s staging: As mounted here, the work’s sound design makes the shrieks issuing from the audiovisual footage much louder than the interview portions that give the piece its intellectual girth. Ironically, informed members of the public skirting “Language Gulf” may assume they already know what the work is “about,” and not bother listening to it properly.